Ron Vave | This blog will largely be about my journey as a PhD student in Marine biology at the University of Hawai'i at Manoa. I'm an indigenous Fijian student researching indigenous Fijian funeral practices and how it may contribute to social and ecological resilience. This blog will largely be about my journey as a PhD student in Marine biology at the University of Hawai'i at Manoa. I'm an indigenous Fijian student researching indigenous Fijian funeral practices and how it may contribute to social and ecological resilience. Attached is an infographic containing preliminary findings of my research on ‘costs of indigenous Fijian (iTaukei) funerals in Fiji’. and equally important, to gather more iTaukei funeral financial data from across Fiji, from those who managed financials for their loved ones funeral. No pressure 🙂 If you’re willing to share funeral financial data with me, your name and the names of your loved ones will be, by and large, kept confidential. The only exception to this confidentiality clause is with the Universities Institutional Review Board and my Primary Adviser. If you have any questions, please don’t hesitate to email me at ronvave@hawaii.edu. They are based on a very small dataset (30 funerals so far). Thanks to those who have contributed funeral financial data for their loved ones and to those who have assisted in connecting me with those who have managed funeral finances. Very important, this preliminary findings contain only a very small part of my research on iTaukei funerals. The economics chapter of my dissertation will cover more than just monetary contributions and include non-monetary contributions as well (such as those from condolence or reguregu). It will also look at what funds are used for. Other chapters of my dissertation look at the iTaukei funeral sociocultural practice (and the changes, drivers of change etc); on the changes that occur in tabu areas (what I’m calling “Funerary Protected Areas”) that are established on the reef, river and/or plantation, following the burial of a loved one (Note: this is only a practice in some parts of the country, one that I’m still mapping); and on the harvest of the Funerary Protected Area. So, the important point here is that, while I’m only presenting preliminary results of ‘costs of itaukei funerals’ in this infographic, it is but a very small piece of this research and will, in the next few years be connected to the social and ecological aspects, that will make the story, somewhat whole. Finally received approval from the Universities Institutional Review Board (IRB) yesterday (Thursday, July 28th 2016, 3:33pm), on changes to my research methods/protocol which was first approved on October 23rd 2015. Changes include the use of an infographic and my blog to raise awareness on my research and through that process, find willing research participants and gather data as well. Mediums of sharing include Facebook, email and of course, via the blog itself. Infographic has frequently undergone numerous transformation over the past 3 weeks and contains preliminary findings on ‘costs of indigenous Fijian funerals in Fiji’. Over this past 3 weeks, the infographic was sent out to select people in Fiji and abroad, for feedback and comments. To those who had provided data for this infographic, Vinaka vaka levu, Mahalo and Thank you. Some of the feedback was used in the revision of the infographic while others were taken as advice on things to think about for improving dissertation (either in the data collection stage, analysis and/or writeup). Infographic will soon be available for release. The goal of this infographic is to visually share preliminary results (based on only 13 funeral financials) and in that process of sharing, generate awareness, interest and discussions. In this infographic, I’m also requesting for more financial information on indigenous Fijian funerals. Why am I resorting to an infographic? Because it seems like images and videos are shared widely via social media and I could get more reach that way, than blog only and/or directly communicating with people. Draft 1 of infographic has been sent to my Dissertation Committee members and select people in Fiji to gather their feedback and comments. Once approved by IRB, I’ll then post it here on my blog, share it on social media and email it widely to relatives, friends and former colleagues. Then it’s a waiting game in which I’ll start to draft other infographics. I’m sure there’s many processes out there to making a poster. People have their own styles and preferences too which could make their process slightly different. Here’s my process and a web link to my poster. Before starting on the poster, make sure to read the guidelines as given by the conference organizers. These would include things such as size or dimensions of poster, preferred format, fonts etc. As to the software for making posters, it’s possible to make them in Microsoft PowerPoint and save them as JPEG or PDF. For this poster, I used Adobe Photoshop CS 6. Knowing my research and the audience, what are 1 to 2 key messages I’d like people to get from the poster? Each major change in text and visual, I saved as a new version. My original was version 1 and had v1 in the filename. 2nd version had v2 and so forth. I created many such versions because there has been instances before where, for example, I’m on 12th version of poster and figured that version 6 was probably better. So, it’ll be easier to revert back to that version. This would not have been possible if I only had one master file and kept on overwriting any changes made. For my recent poster, there was 13 versions. By the 11th or 12th version, a draft was sent around widely for comments. Lots of great feedback was received so there was some more revision done. The looming deadline to print poster and have it put up in conference venue will help, push people like me, to wrap up changes and print. Lastly, there is no one way to make a poster. They are as diverse as we are so choose whatever works for you. Its been a while since I’ve had to make a poster. Thank God for times I’d spent playing with and in the process, learning Adobe Photoshop. The skills and knowledge gained from that was initially just used on photographs, but now, in the making of my poster (high resolution poster available at this weblink). As I worked on my poster, day and night (sometimes in the early mornings), I wonder how difficult it must be for others who need help with the making of their poster. Having to wait around for that person to be available before you can actually make changes to the poster. This poster of mine has gone through more than 30 revisions. A lesson to offer: Every time I make a revision, either in the graphic or major changes to text, I save it as a new version. Because I never know, if further down the line, I change my mind and prefer the older version. So, rather than constantly overwriting earlier versions of the poster, I continue to make new editions and save it as a new file. Although this poster was made in Adobe Photoshop, the graphic on the lower left, was made in Microsoft PowerPoint. I’ll write in my next post how this poster came about. There’s a mixture of posters and oral presentations in this conference. Mixture in the sense that, some are purely about the natural and physical science aspects. Some are a combination of the science and local communities. 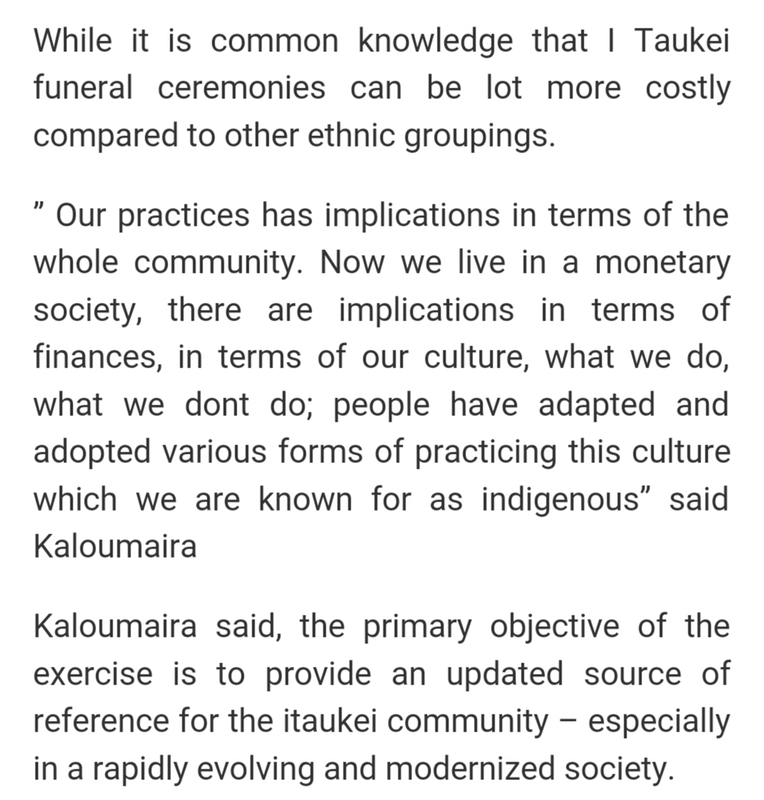 Mine falls into this second category but with greater emphasis on cultural associations of indigenous Fijian funerals with sustainable resource management and conservation. Tomorrow (Sunday, June 19th 2016) starts the 13th International Coral Reef Symposium (ICRS), here in Honolulu (Hawaii). This conference is held every four years. I was blessed to have been a part of the 12th ICRS which was held in Cairns, Australia.